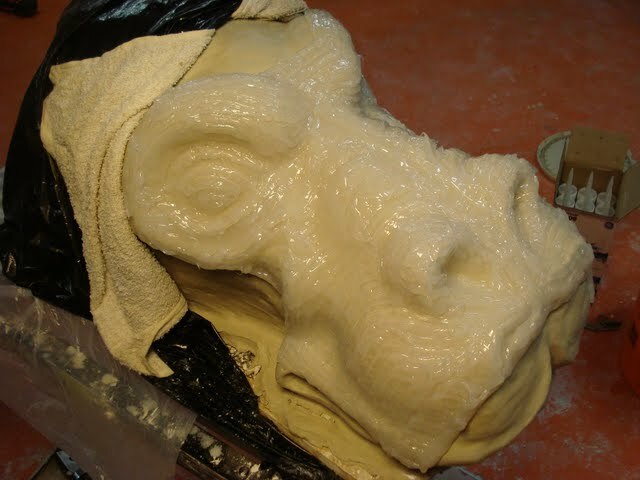 The following is Scott Holden's tale of building a "Luke Skywalker on a tauntaun" costume. 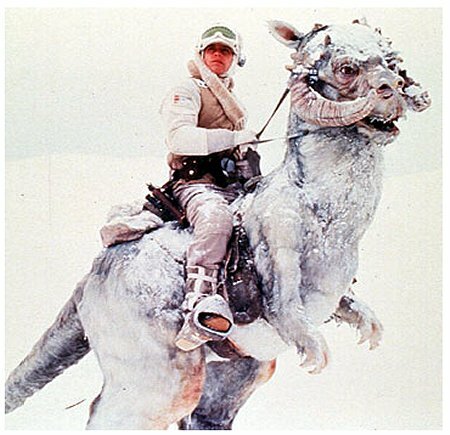 For anyone who doesn't know, this is an animal Luke Skywalker rode in Empire Strikes Back. You can find more ready-made Luke skywalker costume here. Three years ago I decided I wanted to make a Tauntaun costume for the Zone Ball in Sacramento. My wife advised me that it would be best to start as soon as I had finished building the house. After we passed our final inspection, I started designing the costume in Solidworks. 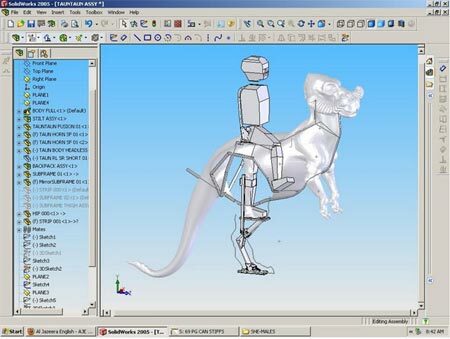 I was thrilled to find that someone had created a 3dStudio max mesh model of the Tauntaun online and was able to download the file and import it directly into my Solidworks drawing! I also imported the model for a human body into the drawing for scale. 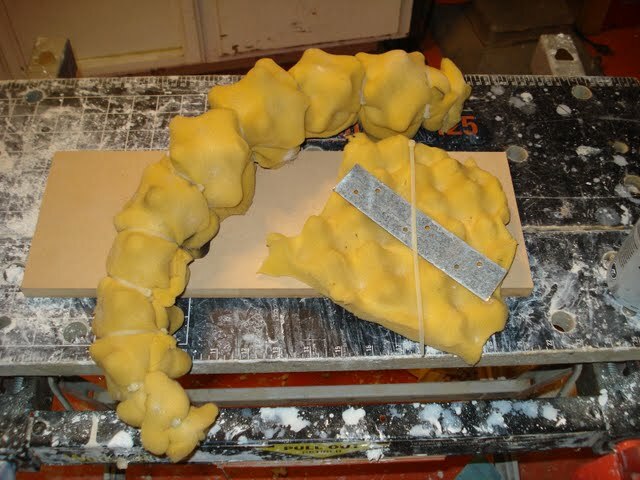 Once the frame and custom stilts were drawn I began construction. I didn't like the way the head looked in the model. 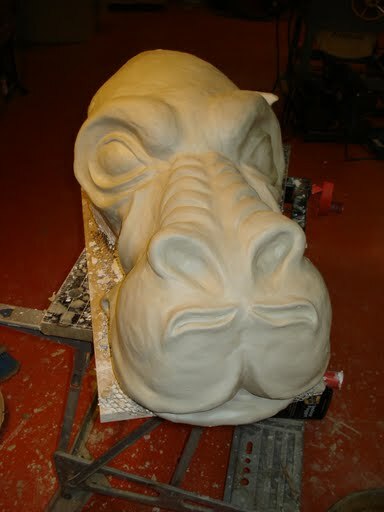 I found some guy online who had pics of his own Tauntaun sculpture and was determined to make mine look like his. 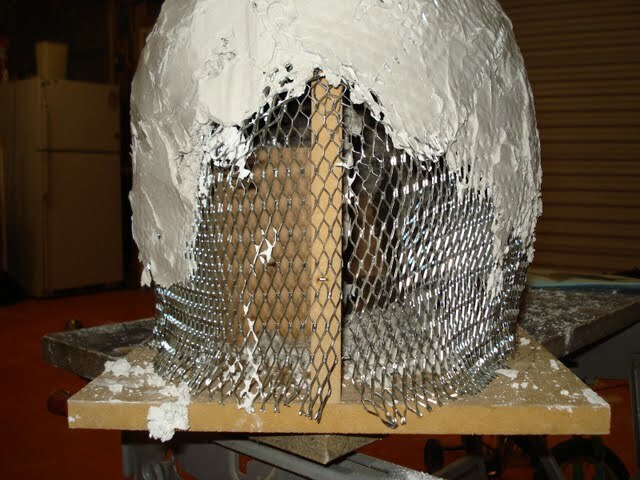 Using wood, expanded metal and Plaster of paris I made a 'skull', then sculpted clay over the skull to add the detail. 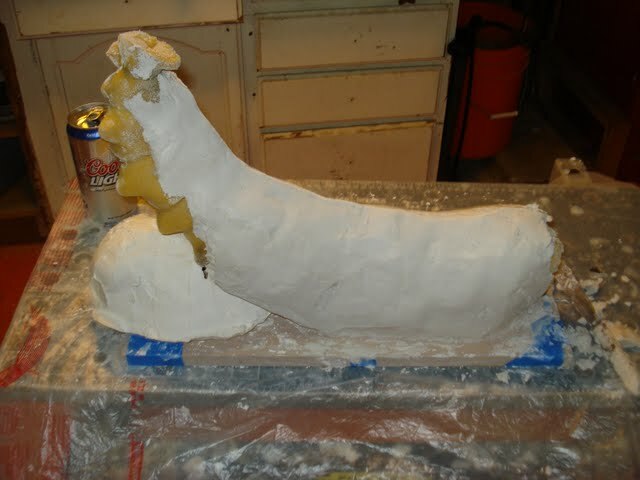 The beginnings of a foam horn. 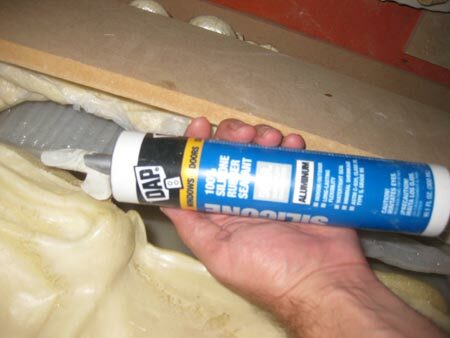 Next I applied silicone (from a caulking tube) to the clay to make the mold. Please continue reading page 2 of Scott's tauntaun costume.